Essential oils are very concentrated and potent. Even small amounts can cause harm if used improperly. 1. Do not apply undiluted essential oils directly to your skin, as this can cause an overdose. 2. Make sure you store essential oils out of the reach of children and pets. 3. Do not get essential oils in your eyes, nose, or ears. Wash your hands thoroughly after using essential oils. If working with pure essential oils, you may want to get disposable latex gloves (or latex-free alternatives). 4. 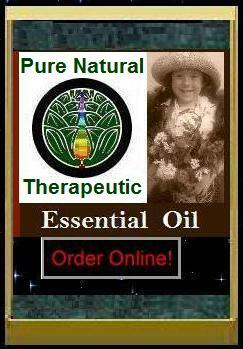 Do not take essential oils internally, unless at the advice of your doctor or a qualified medical practitioner. 5. Before going out in the sun or to a tanning booth, avoid using essential oils that increase your sensitivity to the sun, such as citrus oils (e.g. bergamot oil, grapefruit oil). 6. Do a patch test if you have allergies or think you might be sensitive to an essential oil. Test aromatherapy products (such as lotions or creams) by applying a small dab to your arm. For pure essential oils, add one drop in 2.5 mL (or 1/2 teaspoon) of vegetable oil and apply it to your arm. If the area turns red, or if there is burning or itchiness, wash the area and do not use that product. 7. Overuse of essential oils can trigger a headache or dizziness. Do not exceed the recommended amounts. If you're working with essential oils (e.g. making your own lotions, candles, or bath salts) make sure you're working in a well-ventilated area and take breaks to go outside. 8. If you have a medical condition, consult a qualified medical practitioner before using essential oils. Certain essential oils should not be used by people with certain conditions. 9. People with liver or kidney disease should only use essential oils under the guidance of a qualified medical practitioner. Once absorbed in the bloodstream, essential oils are eventually cleared from your body by the liver and kidneys--using essential oils excessively may injure these organs. 10. Avoid EO in first trimester of pregnancy; then use only florals in 1% dilutions. 11. Consult a qualified medical practitioner if you are using any medication, because essential oils may interact negatively with certain medications. For example, relaxing essential oils such as chamomile, lavender, and melissa (lemon balm) may heighten the effect of sleeping pills or sedatives. 12. Do not use synthetic oils for Aromatherapy purposes.